See areas in the brain that are activated by different feelings. For more about the nervous system, click on "Making Connections." Explaining in an entertaining and informal way, how the body works. This book gets under the skin to show how muscles and bones work, looks inside the human head to find out how we remember, and demonstrates how our senses detect the world around us. 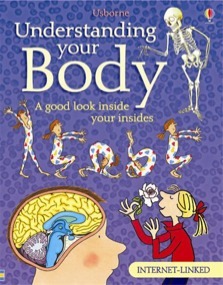 With lively text, amusing illustrations and Internet links, Understanding your Body provides an invaluable homework tool to help children grasp the basics of human biology. I read this book and was simply fascinated by the facts. I even used it for my school project and I showed my teacher the book. She was also amazed at some of the things that go on in your body that you have NO CLUE about! I recommend Understanding Your Body' to anyone interested in the things that go on inside YOU!